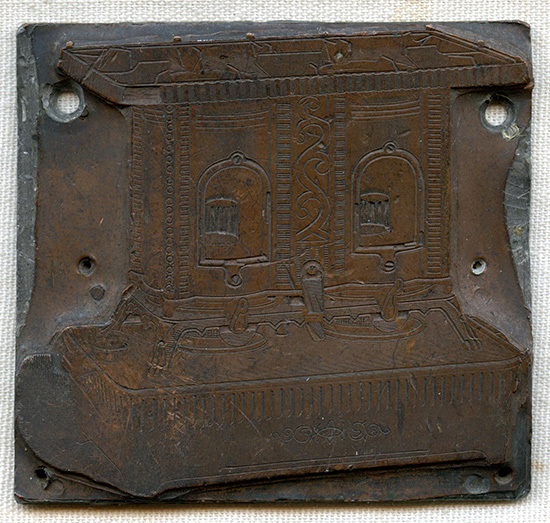 ARTIFACT: 1890�s copper and lead coal stove advertising printing plate. 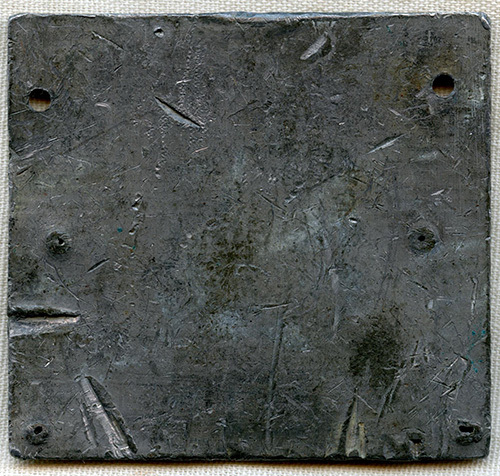 ATTACHMENT: Holes for anchoring to press. 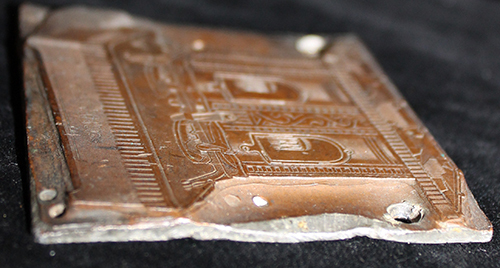 CONDITION: 8- (Very Fine-Excellent-): Printing plate shows light use only.